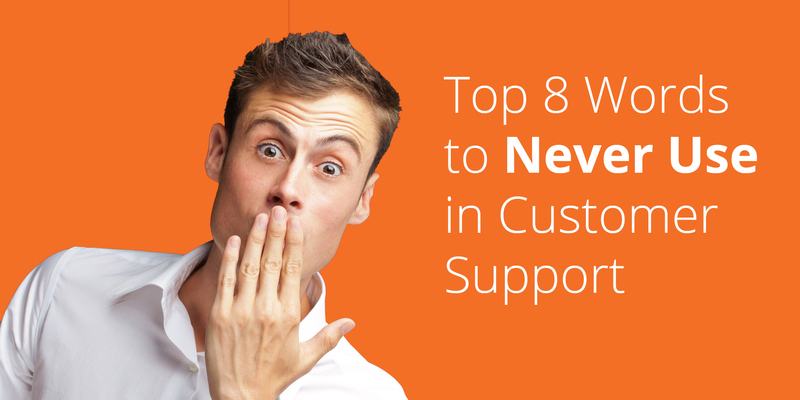 These days, there are quite a few solutions for improving customer service and support in completely digital ways. Customer-friendly knowledge bases are one tried-and-true way to present every bit of important information, tutorials, and how-to’s in a completely categorized display. Your typical, traditional website knowledge base can’t compare to the power and effectiveness of a fully interactive knowledge base, however. Armed with guided instructions that are compacted into smaller, more digestible pieces, interactive knowledge bases allow customers to quickly troubleshoot, find answers, and solve complex issues, all without calling your business up on the phone. Zingtree enables organizations and businesses of all sizes to create and integrate a customized, easy-to-use, interactive knowledge base into their support system, so every customer gets the answers they need. In fact, we host our own Zingtree FAQ on the Zingtree platform itself! Here are just a few of our best tips for building the best interactive knowledge base you can. 1. Nail down your categories and main topics first. Start with an outline of the topics you want to cover, as well as the categories of topics that they belong to. Having this thoroughly laid out before you set in will help you visualize your completed knowledge base, as well as make sure that you’re not missing any key topics, tutorials, or FAQs. 2. Always add a search bar. The key to having a fully automated, interactive knowledge base is to make it as easy as possible for customers to direct themselves to the correct article or tutorial. Adding a search bar to the top of your knowledge base will prompt any unsure customers to see if they can quickly pull up the answers or information they need. It’s a simple tip, but one that your customers will absolutely appreciate! 3. Start with your favorite tool. Overview: Build your trees from scratch, piece by piece (or rather, node by node). Visual Designer: Draw out every node, connection, and final result in one visual space. Wizard: Quickly create by answering a series of questions and answers that ultimately build the final tree. Spreadsheets: Start creating in Excel or Google Sheets and import for refinement. 4. Word everything carefully and concisely. Beyond the general advice to keep wording (especially complex wording) to a minimum, it’s important to carefully craft each question, how-to, or other information to be perfectly clear, and never use phrasing that could steer customers down the wrong path. 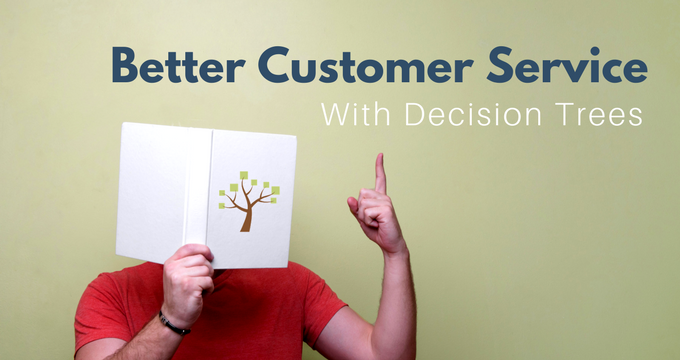 Keeping the decision tree questions and information presented in your interactive knowledge base as simple as possible and structuring them in an easy-to-absorb way is the best way to help customers get the help they need. 5. Use videos and animated GIFs strategically. Visuals are proven to aid in information retention, plus they are fun to look at and are easy for customers to save to their respective desktops for future use! An interactive knowledge base built with decision trees allow for businesses to embed documentation and/or visual media to help convey information better. Using photos, graphics, and GIFs, and adding relevant videos to your questions is a hugely productive way to communicate instructions within limited space. 6. Link to more in-depth information where it’s needed. There’s a lot to be said about going with a more streamlined, bite-sized approach to your support articles – something that our decision trees help a lot of businesses with. When in doubt, it’s always better to keep things short and to the point while linking out to further information or details when needed. Our decision trees allow you to use what we call “link nodes” to easily open up into a new window. 7. Integrate with CRM systems and other platforms. One of our best tips for building a great interactive knowledge base is to make sure that it’s all linked up to CRM. 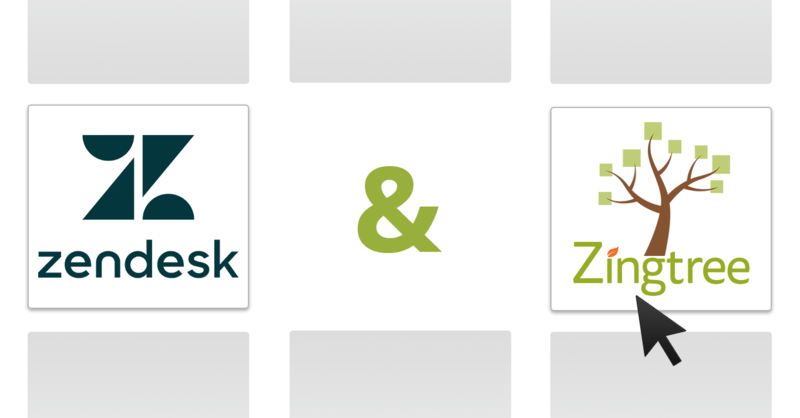 Zingtree decision trees integrate directly with Freshdesk, Salesforce, Zendesk, and just about every other CRM out there to make the sharing of information fast and easy. With these integrations in place, support staff will have a much better look at where customers are getting held up, and can quickly send a full decision tree transcript over to their CRM for fast access. Head over to the Zingtree FAQ to see how we set up our own interactive knowledge base with decision trees, or check out the Gallery to get inspiration for your trees! Anything else? We’re always here to help you get started, offer advice, and answer any questions.